In the Martin & Sylvia: Saturdays! story, “Rainbows,” the children make rainbows wherever they can, including with their food! Here are some of the vegetables in Martin and Sylvia’s “rainbow kabobs”. 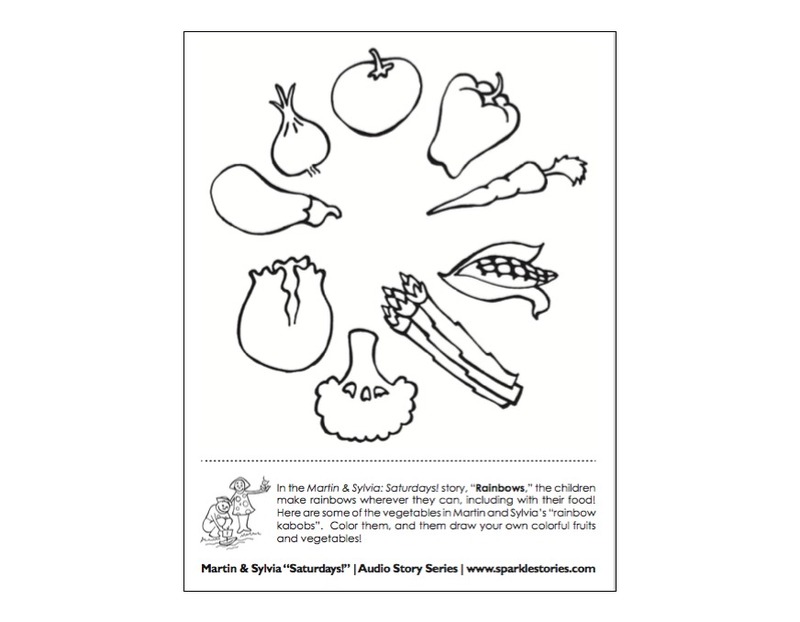 Color them, and them draw your own colorful fruits and vegetables!